The first ever New Zealand Schools’ British Parliamentary Championships were held from the 29th – 30th at University of Auckland. Fourty teams from schools in Auckland, Bay of Plenty, Waikato, Wellington, Kahurangi/Marlborough, Canterbury and Otago/Southland took part in the competition. This house believes that people should be required to obtain a parenting licence in order to have children. This house believes that all states should have a right to nuclear weapons. This house believes that Governments should prioritise urban development over assistance for regional areas. This house would allow the public to elect US Supreme Court justices directly. The motion for the semi-finals was: “This house regrets the norm of monogamy. Progressing to the Grand Final was Hamilton Boys, Otago Girls, Columba and St Andrews. We were delighted to have Dan Bidois, MP for Northcote, attend the Grand Final. The motion for the final was that “this house believes that artists (e.g. authors, film writers or directors) should not provide commentary on the interpretation of their art.” Columba College was declared the winner of the Grand Final. 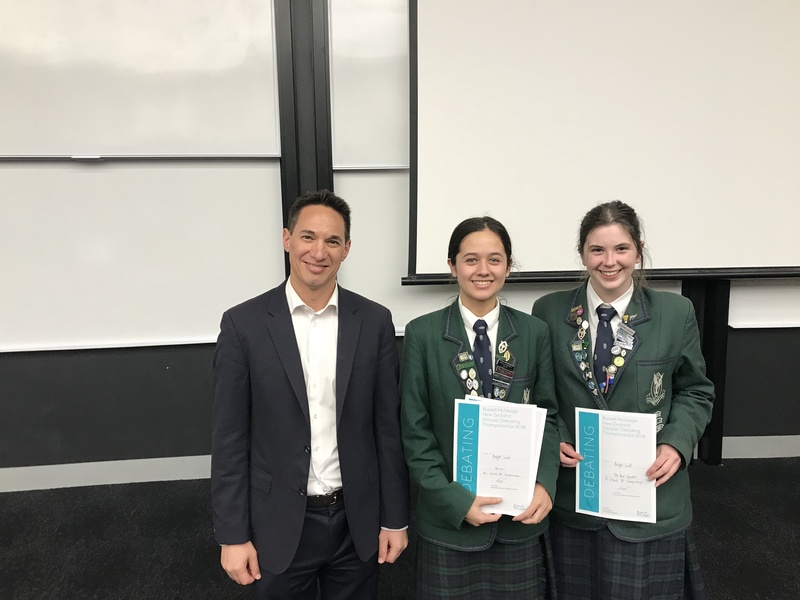 The New Zealand Schools’ Debating Council is grateful to everyone who contributed to making the Championships such a memorable weekend – adjudicators, coaches, chairpeople, and convener Zachary Wong.